This is great! I love your take on the inspirational photo! Your work is amazing! This card is gorgeous! Love those colors. 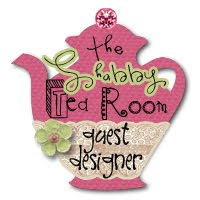 Looking forward to see what you come up with at The Shabby Tea Room next week. This card is gorgeous!! Stunning work as always!! beautiful ! just gorgeous ! such beauty you created with this card. I love the soft colors and patterns blending together so nicely. Pretty! What a gorgeous card - but yet everything you do is just awesome! Thanks for playing at Card Patterns! What a perfect card from the inspiration piece!! LOOOOVE your work!! 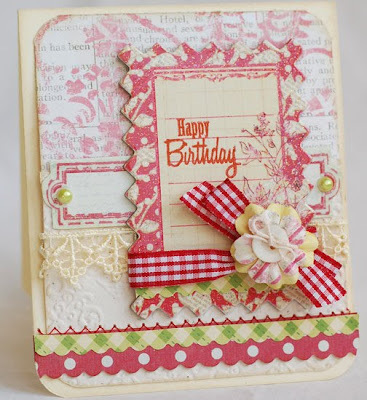 Your work never fails to make me sigh in admiration...I love this card, Anabelle! 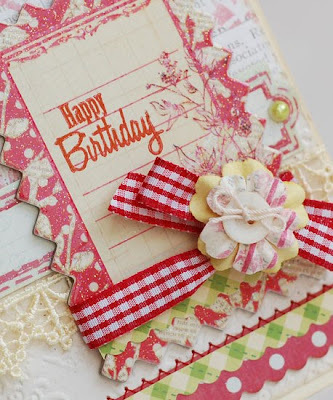 The Prima line is so pretty, and you used them beautifully for this project! Lovely work as always! I always love seeing your cards - this is beautiful! big congrats on your guest DT gig! oh WOW! That's gorgeous Anabelle! I hope you have a wonderful weekend, sweet girl! xoxo!! Wow! This is fabulous beyond words! 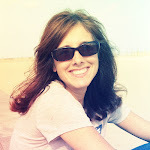 Loving this fun site and blog... and I can't wait to see your GT card!!! So perfect. Love how you tied in the red gingham. My favorite card : the happy birthday card ^^ whaouuuu !